The Friends of the Turnbull Library successfully applied for funding from the National Library of New Zealand’s Macklin Bequest, augmented by individual donations, to achieve an exciting restoration project. Several oil paintings from the Drawings, Paintings and Prints Collection, including portraits and landscapes, were repaired and restored over two years. 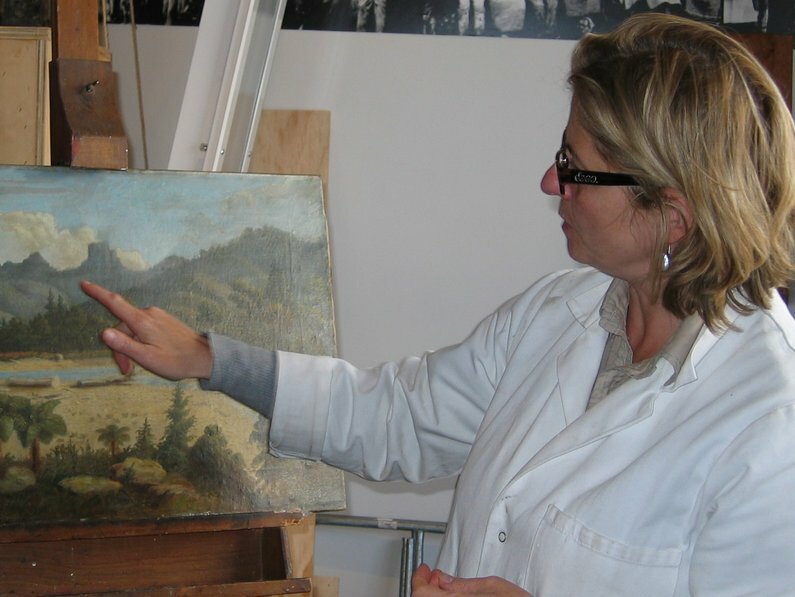 Conservator Caroline Izzo (pictured studying a Coromandel scene painted by Charles Blomfield) completed most of the work in 2009.